North Korea won’t hesitate to go to war if provoked, its vice foreign minister said in an interview, adding that the North has “a powerful nuclear deterrent” and “certainly will not keep arms crossed” if facing a pre-emptive strike from Washington. “If the US comes with reckless military maneuvers, then we will confront it with the DPRK’s [the Democratic People’s Republic of Korea] pre-emptive strike,” North Korean Vice Foreign Minister Han Song Ryol told AP. “We will go to war if they choose,” he stated. 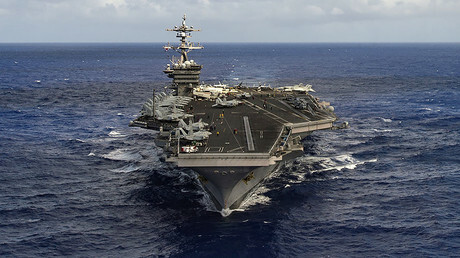 On Thursday, US intelligence officials told NBC News that the US has positioned two destroyers armed with Tomahawk cruise missiles some 480 kilometers from North Korea’s nuclear test site. Washington intends to act preemptively if it becomes “convinced” that a nuclear detonation is imminent. “Whatever comes from US politicians, if their words are designed to overthrow the DPRK system and government, we will categorically reject them,” he said. Han also dismissed the comment Trump made just after being elected suggesting that he could patch things up with North Korean leader Kim Jong Un over “a hamburger on a conference table” in the White House. “I think that was nothing more than lip service during the campaign to make himself more popular,” Han said. 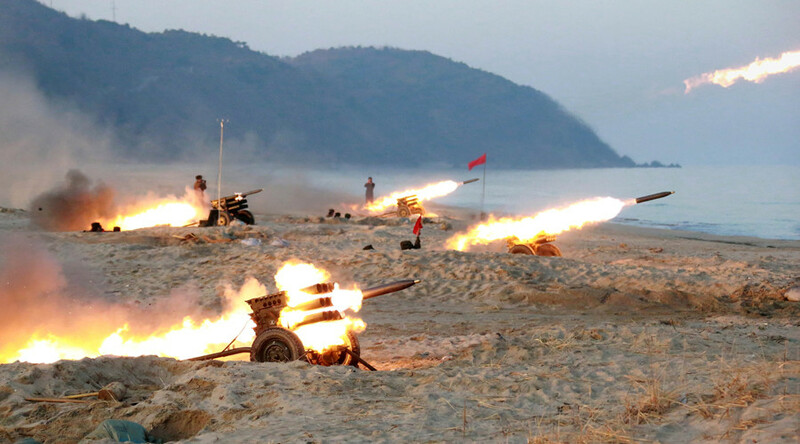 The North Korean official also slammed the joint military exercises that the US and South Korea are conducting on the peninsula. Seoul and Washington are currently holding their annual Foal Eagle exercise, in which 30,000 US troops are participating. The drills, which began in early March, will last until April 30. Addressing one the most hotly discussed topics – a possible 6th nuclear test – Han remained ambiguous. In April of 2016, on the occasion of Kim Il-sung’s 104th birthday, Pyongyang test fired its Musudan intermediate-range missile. On Thursday, the secretive “big event” turned out to be the opening ceremony of a new skyscraper-lined street in Pyongyang, but speculation continues that the North has scheduled more “events” for the weekend.